The very old Stora Hammars Gamla Kyrka is located only about half a mile east of the town Höllviken. 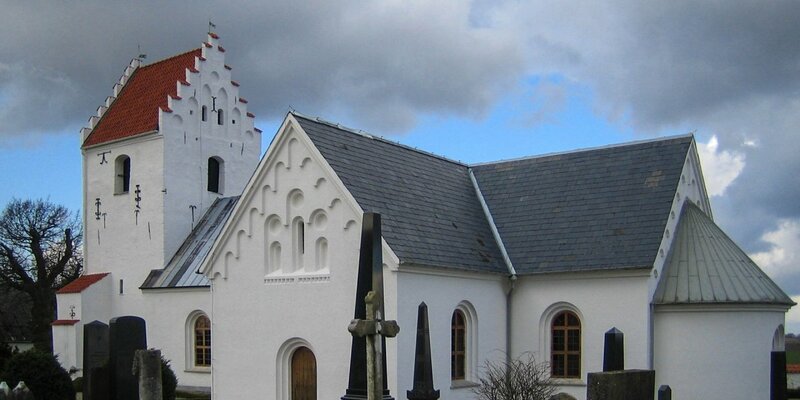 Its oldest parts dating back to 1150 and it is the oldest church in the municipality of Vellinge. Due to the lions representations on the eastern gable of the church and the palm ornaments at the baptismal font, it is assumed, that the builder of this church was the master stone mason Mårten (master-builder of the Lund Cathedral) or one of his students. Today's church entrance was built in 1804 wherein the ironbound door already dates back to the Middle Ages. Before that, the church had two entrances; on the south side an entrance for the men and on the north side one for the women. In the older part of the nave there are murals depicting the passion of Christ and the resurrection. The paintings were swept over with wall color for a long time, but were exposed again in 1965. The medieval baptismal font with canopy is a unique piece and contributes a heavily legible runic writing that says "Mårten made me". The canopy depicting the baptism of Jesus and was created in 1698 by Claes Gertzon. The altar and the pulpit are from 1755 and are the work of Johan Ullberg. Two, with vine branches ornamented pillars, frame the motive of the altarpiece, depicting the Last Supper. 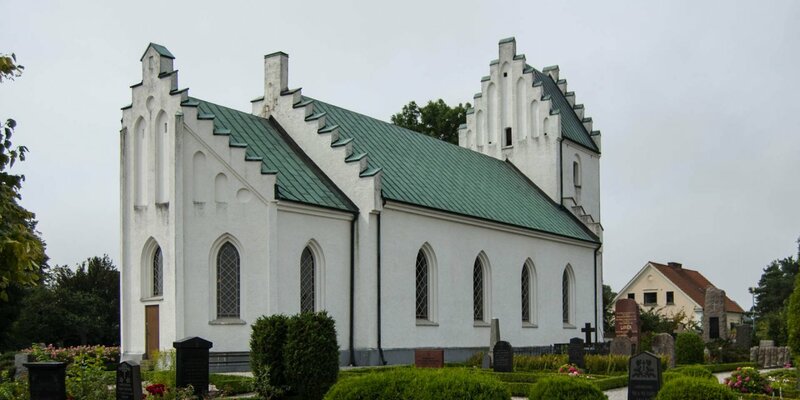 (Ullberg was previously innkeeper in Hurva before he appropriated himself the art of baroque carving). In the church vestibule is a small unpainted bank, a so-called church receiving bank. Mothers had to kneel down and wait for inlet when they first visited the church again after the birth of a child. 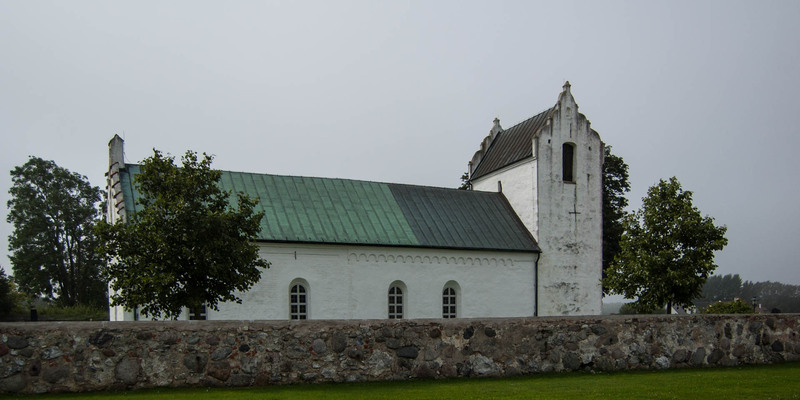 When the new church of Stora Hammar was consecrated in 1902, the old church was transformed into a ruin. The bells were removed and used in the new church. The church community decided to demolish the old church. The architect of the new church, Pettersson from Svedala, which also got an order for the demolition of the old church, concluded that the ancient walls seems to be very strong and said, "Let them stand until they fall on their own". Thus the Church fell into disrepair during almost about 25 years. It rained through the roof covered with tar paper, since the copper plates of the former roofing had been sold during the First World War. Then, a guardian angel in person of Johan af Klercker came and decided to save the church. He was a representative of the monument protection authority. One reason for his decision was that he was convinced that the church was a historical gem. Another reason was that his mother descends from the well-known lineage Lovén from which many generations of pastors of the community Räng came from. These pastors had always been very involved in the church of Stora Hammar. Johan af Klercker began to collect money among the members of the family clan. 11,200 crowns came together in 1925, which were mainly used for a new roof and new windows. In 1929, the church was reconsecrated again. In this context, the family received permission to equip some of the new windows with the initials and symbols of deceased family members. 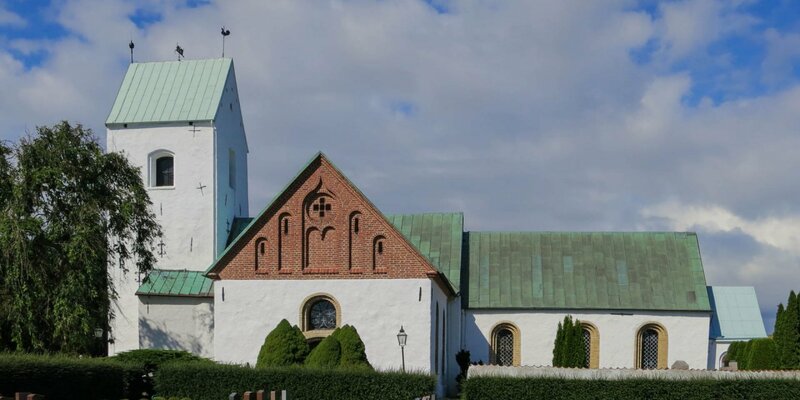 Since then, the old church of Stora Hammar is the memorial church of the Lovéns. On the side of the altar is a staircase leading down into the columbarium of the family, which seats 60 urns. Since the reconsecration, and even today, the restoration will be continued by the municipality. It used a lot of money and effort to preserve the church in its original style. It is now, especially during the summer, very well attended and very often used for baptisms and weddings.